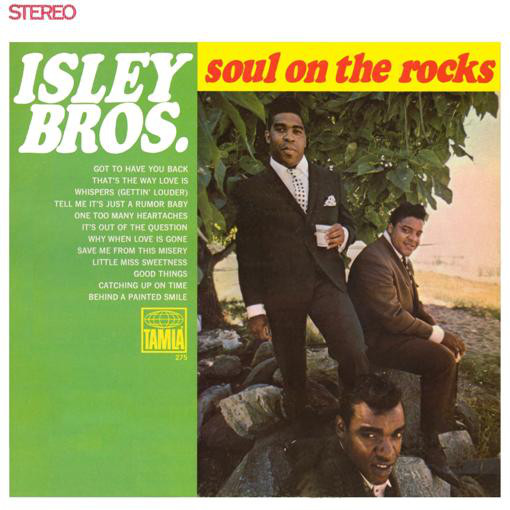 This was, amazingly, The Isley Brothers' last album for the Motown label. Having been one of the label's leading lights from the outset, for some unfathomable reason, the in-house backing they were given decreased year upon year and they ended up disillusioned and to a certain extent, going through the motions, some say. Personally, I think this album is great, however. It would take them until 1973 to fully reinvent themselves again, though, which they did to great effect. The material on here may have been overlooked somewhat but it certainly did well on the Northern Soul circuit. 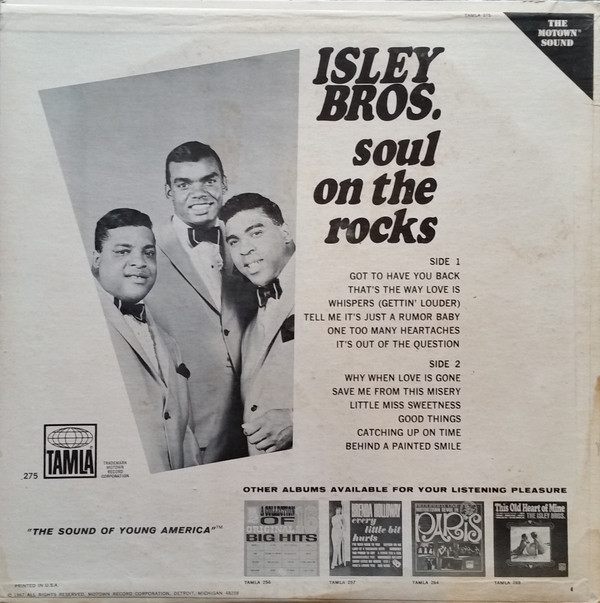 The Isley Brothers were one of the main Motown Northern Soul groups. "Got To Have You Back" is a lively, buzzy guitar-driven stomper to open with, with a few typically 1967 Eastern influences in its guitar sound. "That's The Way Love Is", also done by Gladys Knight, Marvin Gaye and The Temptations, is performed here with a great, floor-shaking vitality. Excellent stuff. A real Motown Northern Soul number. "Whispers" is another buzzy number and "Tell Me It's Just A Rumour Baby" is a Northern Soul classic right down to its stomping foundations. It is included on several Northern Soul compilations. 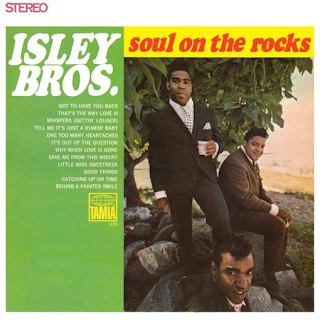 "One Too Many Heartaches" is a lovely, Smokey Robinson-esque melodic ballad, with real hints of The Temptations and Jimmy Ruffin in it too. "It's Out Of The Question" is another undervalued gem. Just superb. Love it. I have seen some commentors say that this is an album full of half-hearted material. Far from it. It is far the superior offering to The Four Tops albums which were reduced to cheesy easy-listening covers on the old "side two". This album is solid, catchy, quality numbers all the way. Another one is the stonking "Why When Love Is Gone". It should have been a huge hit, not just on the Northern Soul scene. "Save Me From This Misery" almost has a Temptations psychedelic soul feeling to its intro and the vocal is outstanding. "Little Miss Sweetness" is a brassy, soulful number. "Good Things" uses that guitar sound again. "Catching Up On Time" has such a Northern Soul intro and then we get the classic "Behind A Painted Smile", which, of course, uses the buzzy guitar sound at its most well known with a superb, gritty riff. This song is one of the best Motown singles of all time, no question. This album is far better than many would have you believe. If you love Motown you will love this.